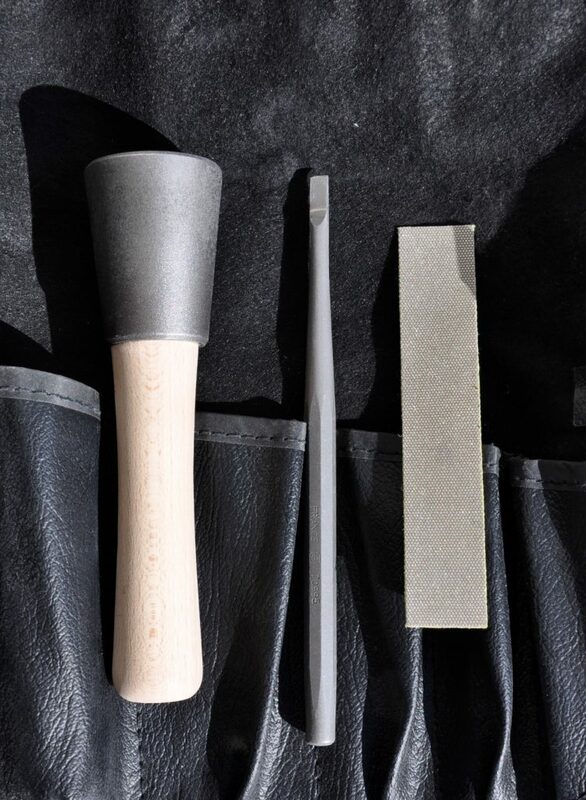 Stone Punches and Points: These tools help you mark a piece out and are used to cut and remove most of the stone. 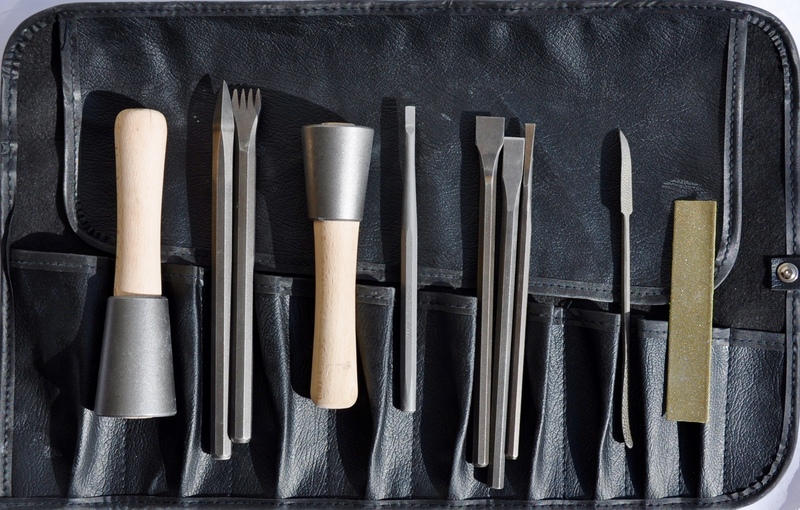 Claws and Chisels: These tools are used to refine the shape and add detail using a rasp or riffler which can be smoothed with a rubbing block before polishing. Hardened Steel Chisel: This type of chisel is used for soft or medium stone such as Alabaster and Limestone. Carbide Tipped Tool: The carbide is used for tough stone such as marble. Lettering Chisels: These chisels are used for more delicate work such as lettering. Diamond Whetstone: The whetstone is used to sharpen the chisels using water or oil. Preferable use water. It is essential to keep the chisels sharp otherwise it will be very difficult to carve the stone. Bench Grinder: The bench grinder is used to sharpen chisels. 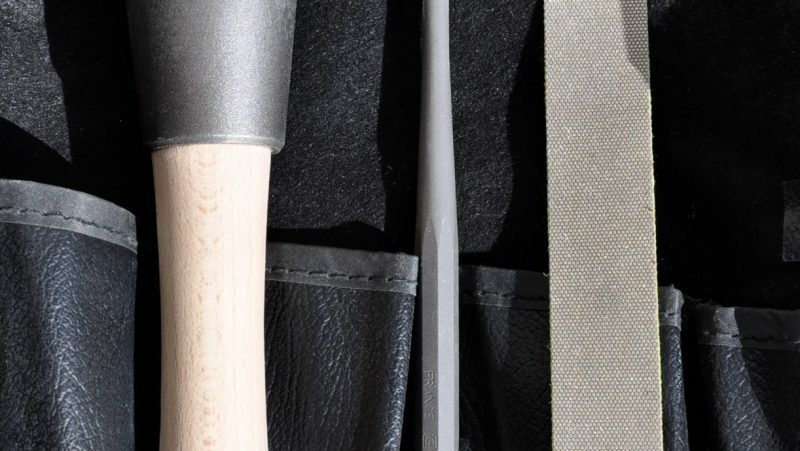 Mallets and Hammers: These mallets and hammers are used with the chisels. A dummy mallet can be either made from metal or wood and weighs about 700gms. Pencil: Sharp 6h lead pencil for limestone and marble, and a water soluble white pencil for slate. Sharpener or Knife: It is essential to have a sharp pencil so use a sharpener or preferable a knife which will give you a good point. You can then sand it to sharpener it further. Ruler: The ruler is used to draw the top and bottom lines for any letter carving work. 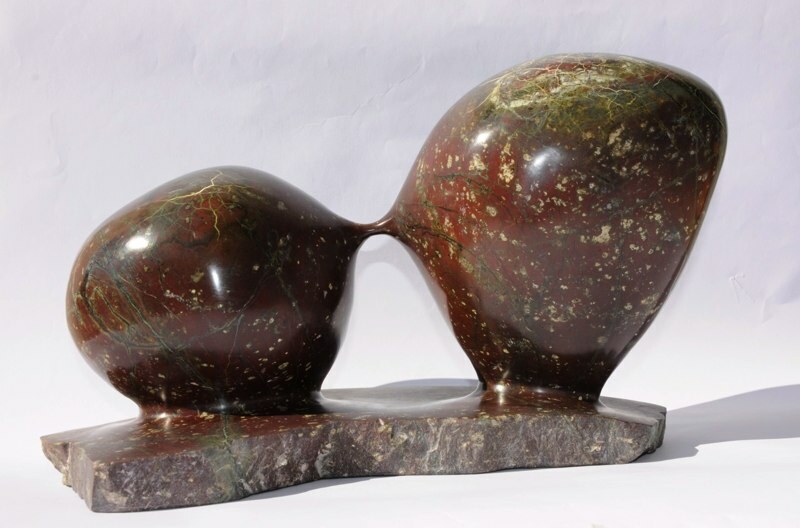 Rubber: When you draw the letters or inscription onto the stone, you will find you will need a good quality rubber to make adjustments. Safety Glasses: It is essential to wear to safety glasses when working with stone to protect your eyes. It is also a good idea to wear protective gloves. 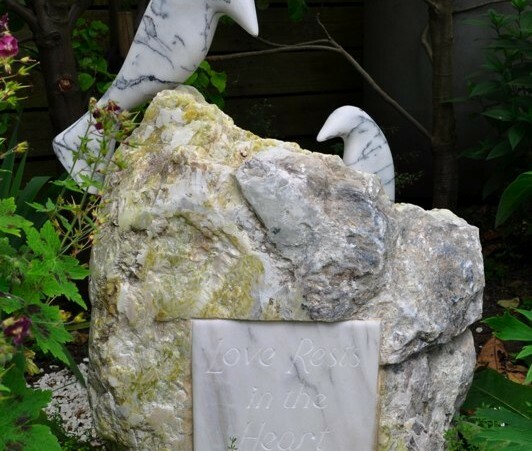 If you would like to purchase stone, marble or stone or marble carving tools or discuss your requirements, please contact Simon at www.simonburnscox.co.uk or email him at info@simonburnscox.co.uk and he will be happy to help.